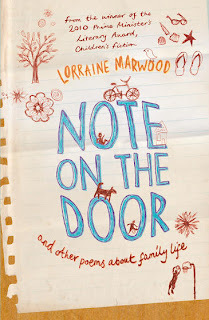 My last post was a book review written by me, today here is a Book review of 'Note on the Door' written by Jo Burnell. I love this little bit of exposure poetry gets- because poetry can unlock joy, surprise, and empathy. 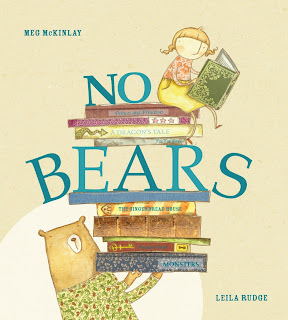 What can Meg McKinlay be doing calling a picture book 'No Bears?' Of course picture books have bears! All those fairy tales with bears as the main subject... but wait, the cover shows a bear holding up books and the main character Ruby. This is an invitation to open the book and find out just what is going on. Ruby knows all about books how they use words and begin with 'once upon a time' She wants to write her own once upon a time and happily ever after book without ever casting a bear in the lead role. Thankfully Leila Rudge is drawing her own subtext to the book and includes a bear whenever she can- a behind the scenes bear, almost like a postscript on the main story line. But very much an integral part of the story. Everything is unfolding according to story- book plan until we come to the cast of the monster- oh no! 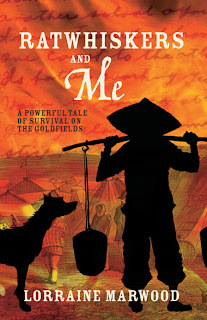 The story and characters begin to have a life of their own- a bit like Meg and Leila as they write and illustrate this story. 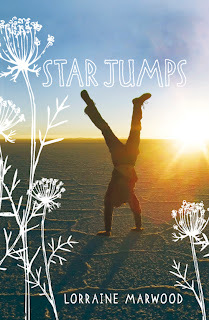 A great picture book develops a soul of its own. Oh no cried the princess, 'SOMEBODY SAVE ME' And so SOMEBODY did. This book is a delight, as a shared read with a 'little' audience, there will be chuckles and comments and suggestions. All the hallmarks of a great picture book. Highly recommended. Whenever I do workshops especially in the senior primary and secondary level of schools I ask 'Who knows what a verse novel is?' Hmm blank, puzzled stares. 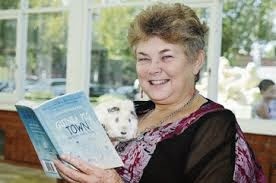 Yet when I read the first pages of Ratwhiskers and Me and set the scene, the audience realises how easy a verse novel is to devour. Is poetry that off-putting? The way the lines are arranged, short and to the point require a new way of reading- well perhaps. 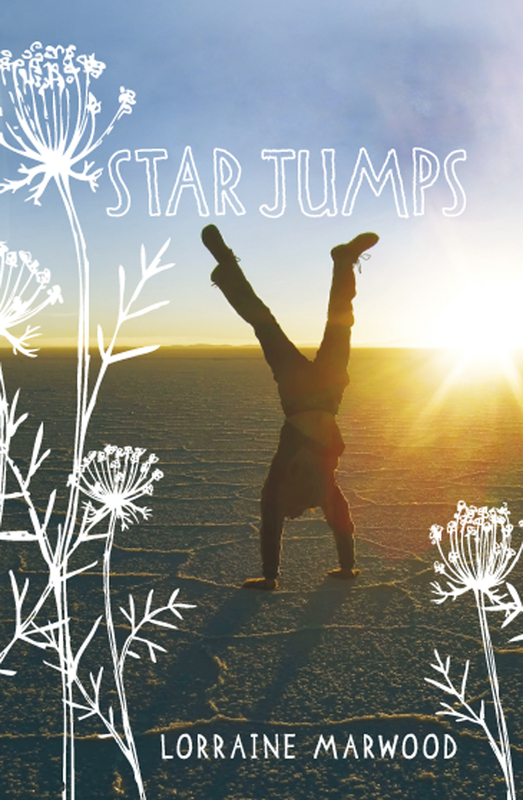 Recently I came across a link where Kate Deller-Evans of Flinders University discusses the verse novel- 'Star Jumps' and Karen Hesse's 'Out of the dust'. Amazing. I love Karen Hesse's work. Here is the link to that article. I am thrilled for my work to be discussed within the genre of verse novel and also thrilled to have literary projection power from the 2010 Prime Minister's Literary awards. I love the spareness yet richness a verse novel format gives to the narrative and although it's certainly not a popular genre I believe it has such power waiting to be ignited. So... will I write another verse novel? Yes, yes. What do you think about verse novels? Have you read any? Lately I've been working on my new poetry collection and to kick start the base load of 50 poems, I've been snatching my old journals off the book shelf and flicking pages, seeing if lines or ideas jump up at me. Every time I do this I make a mental note to write more in my current journal- I can't believe the little gems just waiting to be discovered again. Of course not everything I write has a future in permanent ink, but its the cardiac workout to something in the near future which might attain that dizzy height. I also read collections of poems for children/adults/text books on poetry and try my hand at different styles of writing also. But there is nothing like observation, being outside allowing one's senses to be open to the palette of micro and macro happenings that make up a day. Lately I've even collected little gifts to record in my journal. And yes there is a poem attached to it- but that one is currently on my editor's desk. There is no substitute for sitting and writing- it's the delectable surprise that comes, the joy of seeing the world in a tiny shard. How do you garner ideas?